Now you can also embed the link of your particular courses on other websites or platform. Let me guide you through the steps which you need to take to complete the embedding processes. 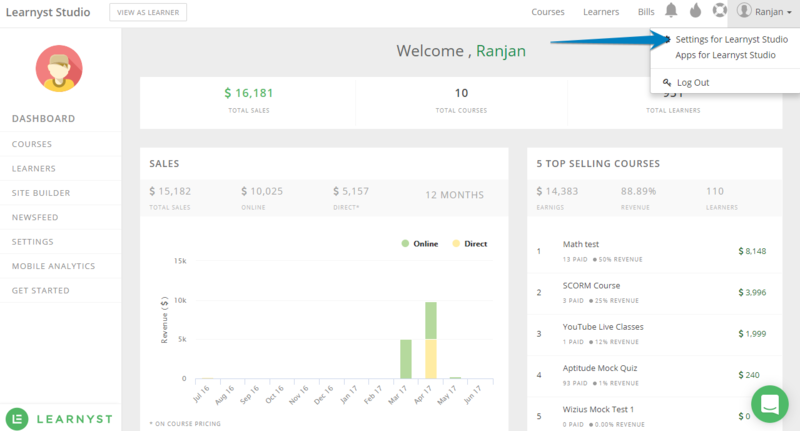 Choose the course type, number of courses and Tag. Click on Generate Code. 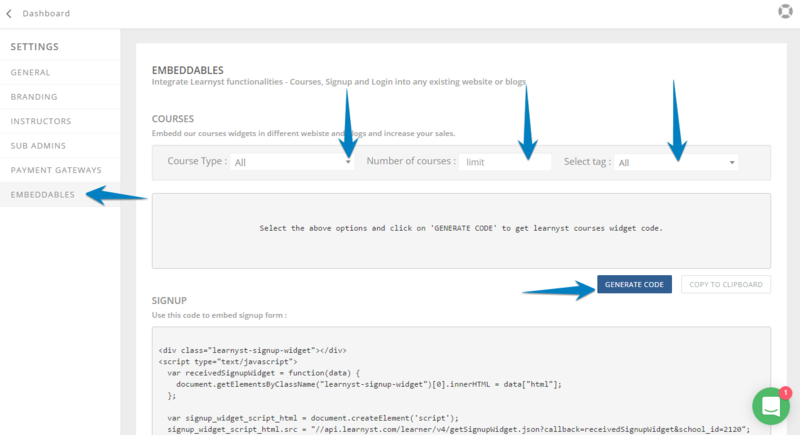 You will see the code showing below, copy paste it to the site/platform where you want to embed the particular course.